Sometimes an entire document conversion process is not economically feasible for some small businesses. Instead of scanning the entire box of files we offer the option to have our operators scan the files you need as they are requested. Documents have a life-cycle and within it need to be maintained and accessed with varying frequency depending on compliance and business purposes. On Demand Scanning allows you the flexibility of remote, secure, document storage while it still being accessible if needed. 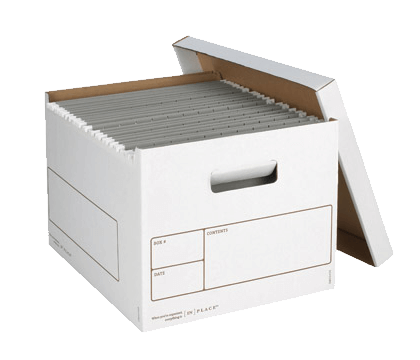 If immediate access to records for the isn’t necessary, why incur the expense of scanning the entire box of files? By combining our secure document storage with our scanning service you can achieve tremendous cost savings versus on-site storage or a complete digitization project. When clients request files, instead of delivering the file to the client location, we retrieve it from their inventory, prep, scan and transfer the digital file to the client in a specified format. Once a document is scanned, you can choose to access it via a secure FTP site, have it emailed as a securely encrypted hyperlink or email attachment, or have it securely hosted—with anytime access—via our hosted image archive. Our ability to combine our secure record storage and document scanning services creates significant value.